PROTECT & SECURE YOUR COMPUTERS! 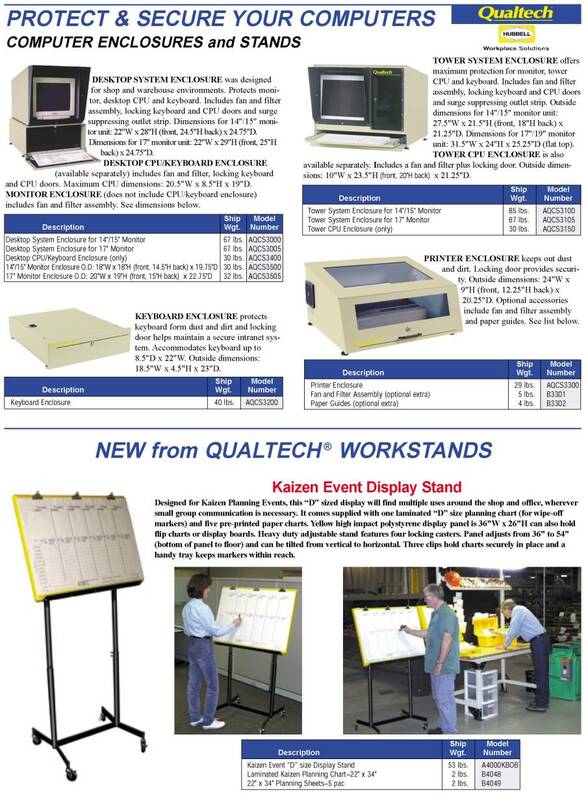 Designed for shop and warehouse environments. Protects monitor, desktop CPU and keyboard. Includes fan and filter assembly, locking keyboard and CPU doors and surge suppressing outlet strip. Offers maximum protection for monitor, tower CPU and keyboard. Includes fan and filter assembly, locking keyboard and CPU doors and surge suppressing outlet strip. Protects keyboard form dust and dirt and locking door helps maintain a secure intranet system. Keeps out dust and dirt. Locking door provides security.